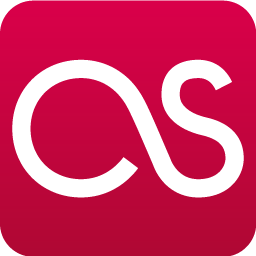 Reader contributed reviews are the fruit of the earth, and the very reason we keep on spreading the music we love. I never pass up an opportunity to let a budding music enthusiast share his thoughts on one of his recent discoveries. Doom and stoner metal is somewhat of a rare occurrence on The Metal Advisor -- all the more reason to spread the love -- but I hope to throw the plodding form of metal into regular rotation soon. Let's see what our fellow metalhead has to say. My introduction to Windhand came at a convenient time. I was in the Armageddon Shop in Providence, Rhode Island hungry for some new tunes. Working an internship in the area, I was relatively new to the place, so I walked in with the nerves of a freshman schoolgirl on her first day of class. I began hunting the shelves when the music playing over the loud speakers caught my attention. I quickly found my self alongside the regulars, nodding and tapping my feet to the heavy psychedelic beats of Windhand. If you were to look at this scene from the outside, you would have seen four guys standing in a record shop jamming, mindlessly flipping though albums, lost in the trance Windhand produces. Coming back to my senses, I realized I must have their self-titled album. Sadly, the store was out of stock, and I had to order the album online from Force Field records. The wait was well worth it. As soon as the album arrived I threw it in and was a hooked. I simply loved it. 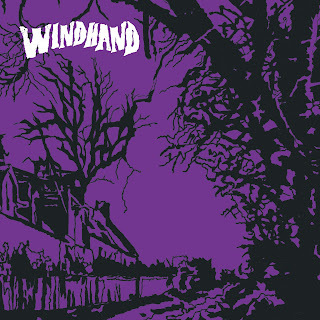 Windhand was my first experience with stoner/doom metal and they have since been the standard. “Black Candles” sets the mood with footprints, crickets, and an oncoming thunderstorm that fills you with a sense of foreboding. They send you spinning with heavy beats and dark guitar riffs and periodically break out a rippling guitar riff that puts you back on edge, waiting to be thrown back into oblivion. The song ends with rain and eases right into “Libusen.” Rightly timed riffs and steady hard-hitting drums keep this song alive and hold you down in a metal straightjacket. Using the ever-lasting storm for a transition, Windhand rips open the air with “Heap Wolves.” Holding the intensity of the first two songs, they rock though the next five minutes like some bro’s throwing down one hell of a jam sesh. As they roll right into “Summon the Moon” they slow they pace down while still wrapping you in a heavy blanket of evil. The song seems to lack the faster beats the rest of the album maintains, but it’s a refreshing change of pace that allows for some much needed gasps of reality. The vocals maintain the atmospheric echoes given off throughout the album to remind that they aren’t done yet. Even with the change of pace, Windhand never ceases to release your mind from the darkness folded within. Finally, with “Winter Sun” they thrust you back into the hellish spiral they created with “Black Candles." Arguably my favorite song on this album and their longest, “Winter Sun,” throws a callused hand across your face with this closure. They do a great job giving a false sense of ending before Dorthia Cottrell rips back in with her vocals. This album is a definite jam if you are looking for a heavy hard hitting music and a must for those who enjoy stoner/doom metal. Very nice. Who wrote this one? My buddy. The one I gave the large Gog shirt, in fact.